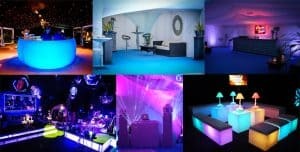 It’s official: Award Winning Marquee Hire, By Inside Outside! We’re pleased to announce that Inside outside Marquee Hire has been recognised as the Wedding Marquee Supplier of the year for the South East of England at the illustrious National Wedding Industry Awards 2019. Wedding Industry Award Winners are judged by their own customers! We asked our wedding marquee customers from the previous twelve months to take a short survey where they would be able to score and comment on the services they received from us. The results were overwhelming with Inside Outside scoring an incredible 68.6 out of a possible 70 point maximum. 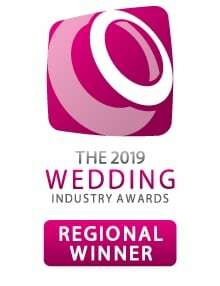 Once the results of the customer survey were in they were put in front of a select judging panel of industry experts who, after careful consideration, recognised Inside Outside as The Wedding Marquee Supplier of the year 2019 for the South East of England. Incredibly, there were over 26,000 votes cast for the 2019 Wedding Industry Awards, and we’d like to thank all of our wonderful customers for taking the time to vote for us; we’re so pleased that we were able to be a part of your big day, and more importantly, that we were able to help to make it an extra special occasion. Customer service has always been a top priority for Inside Outside, and so to win an award that is based upon the positive experiences of our customers is something that we are truly proud of. We’ve always felt like we’ve provided award winning marquee hire – so for it to be officially recognised is the icing on the cake. So what did the voters say? Award Winning Marquee Hire –Not limited to wedding marquees! Our expertise, quality and service levels aren’t limited to award winning wedding marquees. We provide fantastic marquees for parties, marquees for corporate events and marquees for commercial events too. We’d love to build an award winning marquee for your next event, so please contact us for a free, no obligation quotation. We can’t wait to hear from you!